So long, and thanks for all the coffee. Leaving Sarajevo was hard, in many ways. There was of course the physical journey of leaving Bosnia. I had booked my round trip tickets in and out of Europe through Budapest since I had family I wanted to see there. However getting from Sarajevo to Hungary is not as easy as it might seem by looking at a map. My journey included busses, taxis, trains, and trams before I even got within sight of my destination airport. To add to this taxing journey, I got sick during my overnight in Zagreb and just wanted to crawl into a hole instead of lug my oversized suitcase across another international border. Leaving a country by bus is much different than by plane, watching the country and city you’ve grown to love over the past few months disappear behind you a mile at a time felt more tangible and real than watching a place fade below you in a matter of minutes from an airplane window. I was able to process my departure from Bosnia in real time. This however did not make the journey any easier. 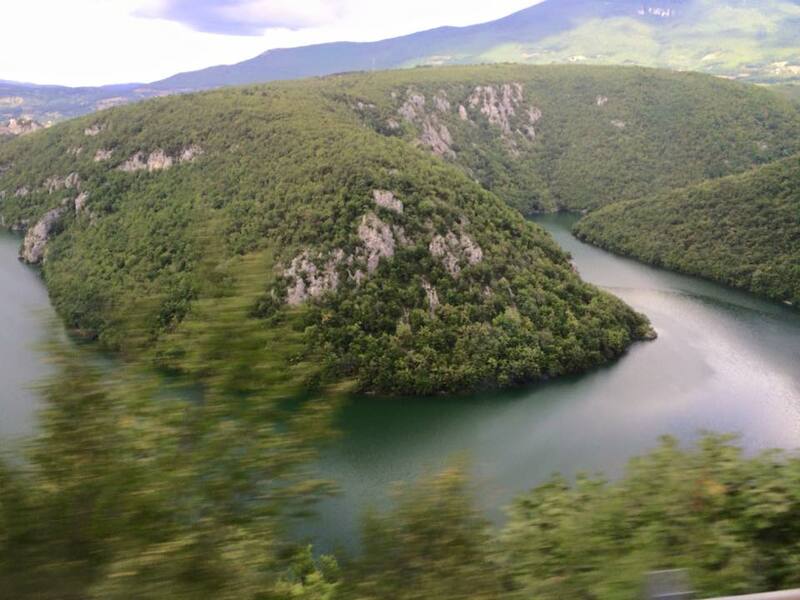 On that bus from Sarajevo to Zagreb, I realized I was alone for the first time in months. For the past 8 weeks there was always someone around to talk to, to enjoy a Bosnian coffee with, to take a stroll by the river with. I made many friends this summer, not only within the program, but at my internship, in the city of Sarajevo, and at our hostel. I had really enjoyed my time in Bosnia, and it was time to face the real world again. This program marked the very end of my graduate school career, the final piece of the puzzle of my masters degree, the crowning jewel of six years of higher education. Unlike the other participants I would not be returning to DU for fall quarter, and but instead to strike out on my job search. I would return to Denver, and still get to see many of my newfound friends but I still couldn’t help to be sad leaving Sarajevo. I had never really given a whole lot of thought to Sarajevo, Bosnia, or the Balkans until I heard about the program at Korbel, but knew I wanted to go as soon as I saw the poster for the program. I had watched a lonely planet special about the Balkans a few months before heading to graduate school when I was heading to an ill-fated internship in Tunisia that had captured my imagination. It was hard to believe that less than two years later I would be there with my school and an amazing group of people. However at that time I knew very little about the area, I knew vaguely that there had been a war and many bloody atrocities, I knew Sarajevo had hosted a winter Olympics, but I knew nothing about the breath taking beauty of the country, the charm of Sarajevo, or the warmth and resilience of the people there. I could not anticipate the things I would grow to love and appreciate about my time there, both big and small, from being able to get an espresso just around any corner, practicing my Arabic with Naida (the hostel owner), small talk with the cashier at Maison Coco, or getting to walk by history changing sites around the city while running mundane errands. But that is Sarajevo, a cosmopolitan European capital, filled with well-educated, talented, and giving people who saw unspeakable violence and horror in their lives. So many locals asked me “why?” I had come to this city and their country, why Bosnia of all places? As if this were a country with nothing of note to see or do because it didn’t have the party and festival scene that every other person my age that visits Europe is interested in. But, truthfully, it was hard to describe why I chose to come to Bosnia aside from that I like to travel and the glowing reviews of the program Shannon and Marty gave at the info session left an impression on me (and of course the requirements it fulfilled for my degree program). Regardless of what drew me to the program, I am grateful that I decided to go, and that Ann decided to accept me into the program. I am grateful for everyone I met during the summer, the places I got to see, all the new stamps in my passport, the many miles walked in the Peace March, our folly of trusting google maps, to the LBGT people I met that refuse to hide in the face of widespread homophobia, the people who stand up to genocide denial, to Wings of Hope and Maja for having me intern for them, for the women who fight for everyone’s rights, for getting to experience the film festival, for Naida, Seaad, Hassan, Osman, and everyone at the hostel, for everyone in Srebrenica that shared their stories with us, for the endless coffees, and for so much more. 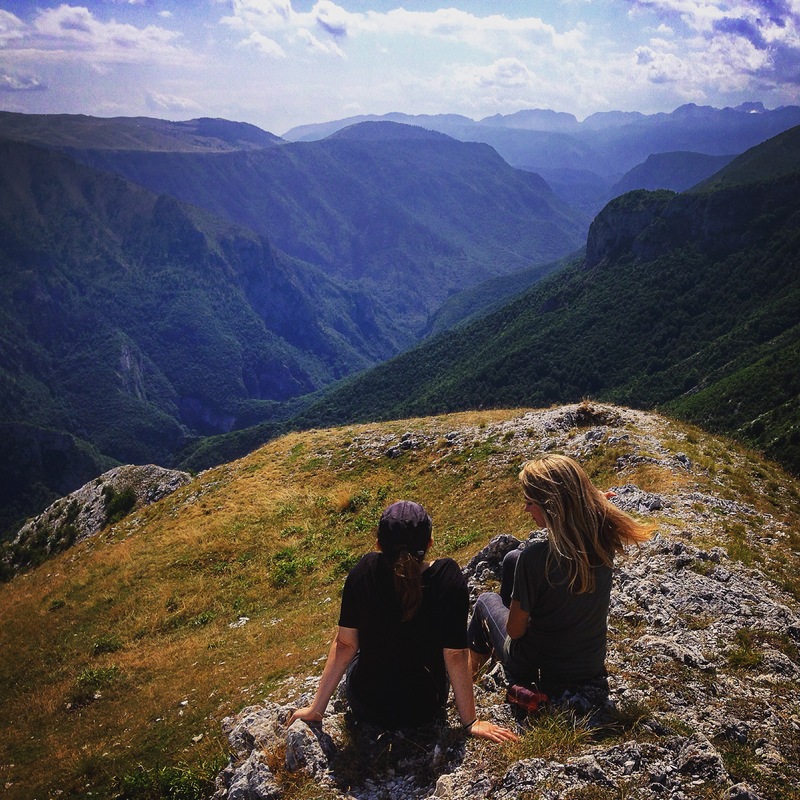 The lesson here is, I guess, if some says “why go to Bosnia?” the answer is “why not?” and if you get the chance to go, do it! Coming home…and leaving one behind. I’ve been trying to find the best way to effectively put into words my experience and associated feelings for my life this summer in Sarajevo. To say it’s difficult, is a voracious understatement. 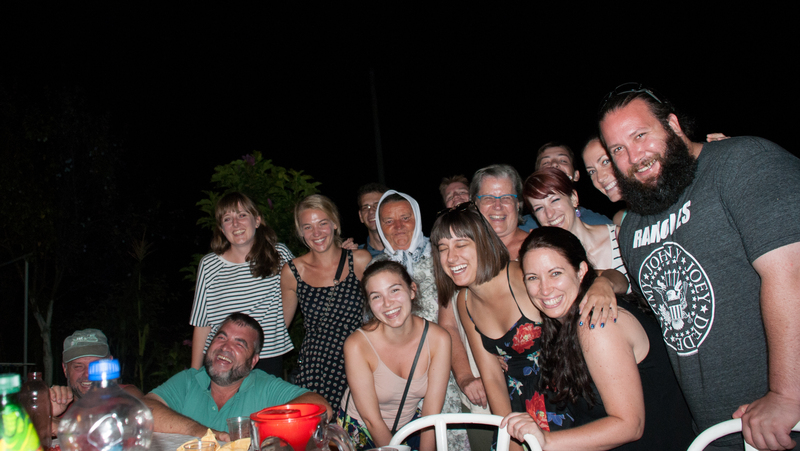 I’m brought to near tears and my heart feels full when I consider the friendships I built, the stories I heard about the war, how connected I felt with people I knew for a few weeks to only a few months. I was cared for and about. I knew that if I was hurt, sick, sad, confused, or scared, I had people to turn to – and those they directed me to, also cared about helping me. This may seem self-centered. I hope I gave back as much as I was given. But this is the experience that swells within me when I remember Sarajevo. We hear often about traveling to “third world countries” and unsafe war-torn places, and for many, Bosnia is on this list. The first thing I tell people is how beautiful the country and the people are. How warm and safe I felt while I was there. That I recommend they look into experiencing the culture and country for themselves. And that no, it is not a “third world country” it is a recovering country. And most people I spoke with felt the same – we are all human, we all bleed the same, we need to be one country again without religious discrimination (we understand that here, don’t we). Its hard to believe it has been over a month since I left Sarajevo. Bosnia almost feels like it was a dream. When people ask how my trip was, I still don’t really have a good response. There is so much to say about Bosnia its hard to put into words, or a quick summary. One of the first things that comes to my mind are all the amazing people I met this summer. From everyone in our program, to all the people at the Post-Conflict Research Center (my internship), to Naida and Saed and all the survivors and their stories they bravely and graciously shared with us, I am overwhelmed with gratitude, and love. I will never forget the incredible stories we heard from genocide survivors that exemplify human resilience, the ability to forgive and keep living after everything has been taken from you. 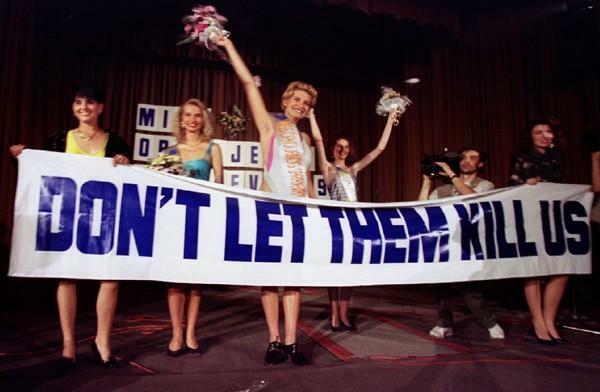 I will never forget the spirit of the Bosnian people and their ability to laugh and make “black humor” around unimaginable horrific circumstances. The next thing I tell people about is how gorgeous the Balkan region is. Sarajevo reminds me a lot of Vermont with its lush, green rolling hills. Croatia and Montenegro blew my mind with the gigantic, jagged mountains contrasting turquoise, clear water. I feel incredibly lucky to have had such a rich experience in one summer. 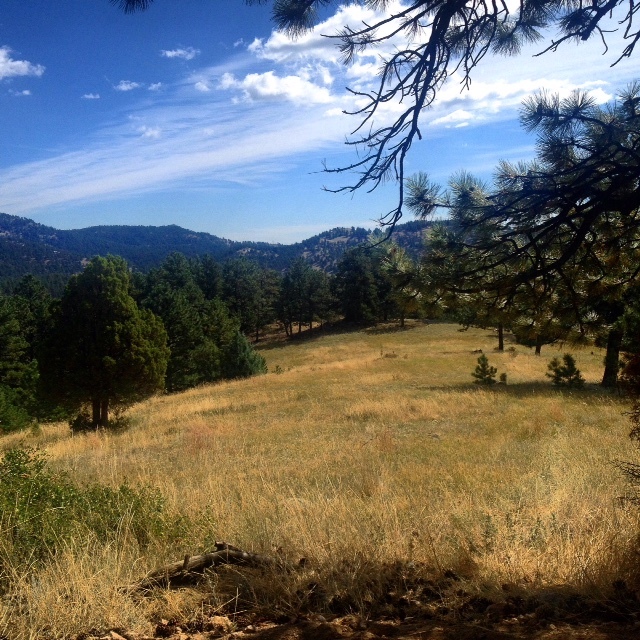 From start to finish, I had one of the most memorable summers of my life.The worst part of my summer was the first few days I was back in Colorado, I was sick with a stomach flu that several other people had caught before I left. The trip home went smoothly thankfully. I slept for almost three days straight in between endless trips to the bathroom.To say the least, I left Bosnia humbled and inspired and can’t wait to come back at some point in the future. My last two weeks in Sarajevo were spent experiencing the outstanding healthcare system in Sarajevo. Let me explain… This all started the night of my birthday Aug. 1st (my bday is Aug. 2nd), I had just finished taking an overnight bus from Sarajevo to Belgrade on Friday night. I arrived to Belgrade on Saturday, Aug. 1st early in the morning, to a rather eerie sight. I walked off the bus and arrived to a bus station that looked somewhat like a refugee camp. Outside of the bus station, there were dozens of Syrian refugees sleeping on the ground like a camp site. It was 4am in the morning, I had literally woken up just a few minutes before and still had not gotten my bearings when I walked into this. It was very sad and difficult thing to see, lying on the ground outside of the bus station there were dozens of refugees, most of which did not have sleeping bags or tents. A few of them had made little camp fires (even though it was a bus station, this area looked like a very small park directly next to the bus station), I spotted two small tents, and about 3 or 4 people with sleeping bags -out of several dozens of people. That memory will remain vivid in my mind for a very long time. 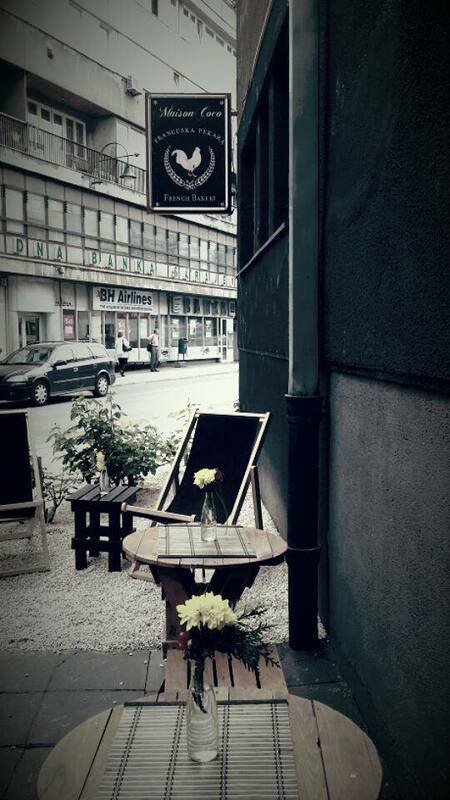 Eventually I made my way to my hostel and arrived there sometime around 6 am. The rest of the day I spent exploring Belgrade and walking around the city. That night was going to be my only night in Belgrade before returning back to Sarajevo and my birthday fell on the following day, so I decided I would celebrate that evening. Everything went well until around the time I headed home around 3am, one of my teeth on the top right part of my jaw started hurting a lot. It was a throbbing pain that I just couldn’t seem to shake. I spent the entire night sleepless because of the pain despite not having slept very much the previous night on the bus. The following day the pain just seemed to be getting worse, the first thing in the morning I went to a pharmacy and bought aspirin, but that did little to help. By the time I was getting ready to leave Sarajevo I was in so much pain that the guy at the front desk of the hostel gave me two pain killers. I took one immediately around 4:30 (just before boarding a van back to Sarajevo) and it lasted about two hours. By the time 6:30 rolled around I was in pain again and decided to take the second one; unfortunately, the weather was rough so we didn’t make it back to Sarajevo until 11pm. I immediately rushed up to the hostel didn’t say a word to anyone and took 6 extra strength aspirin and went to bed. That lasted until around 4:30am, when I woke up straight out of my sleep because the medication had subsided and my pain had come roaring back. I took 3 more extra strength aspirin and tried going back to sleep. That morning I was out of bed by 7am and Naida directed me to a dentist office right by the hostel. That morning would be the first of SIX trips to the dentist I would have to make. After seeing how much pain I was in they immediately took me in -even though I didn’t have an appointment- and they took an x-ray of my mouth and diagnosed that I needed a root canal. After that they numbed me up and drilled a small hole in my tooth, this was to relieve the pressure I was feeling. At this point it was really confusing for me. Here I was in this dentist office in Sarajevo, they had just treated me excellently, they had attended me very quickly, they were very professional, very quick and efficient, and now I was expecting the bad news… how much did I need to pay? The dentist told me not to worry about it, that I would need another appointment to do the actual root canal, and that I would pay then. They gave me the number for another dentist office close to my work at the American Embassy and sent me on my way. At this point I was feeling better, but still a little concerned, so I asked them if they could give me an estimate of how much I should expect to pay altogether. I couldn’t believe her, she told me around 140-150 km, so around $70-$80. That day I showed up to work, I had notified them that morning saying that I probably wouldn’t be in until around noon, instead because they the dentist office had been so quick and efficient I was back at work by 9am. Altogether I had to do five more appointments with a different dentist over the course of the last two weeks of our program -the final visit was the day before I left Sarajevo. This dentist was just as professional as the first one I met, he was extremely kind and squeezed me in the very next day even though he really didn’t have any available slots until Wednesday. He was so good and all of our visits were very short visits, no more than 30 mins, and everything was excellent. Best of all when it finally came time to pay my TOTAL bill for SIX appointments including a root canal came out to $60 US. It was UNBELIEVABLE, the year before I had had to get my very first root canal when I was living in Austin, TX. I went to a low income dental clinic and the total had come out to $500, and that wasn’t including the price of my very first appointment to find out what was bothering me. I really couldn’t believe it, I was dumbfounded by how incredibly cheap it was. Best of all, the treatment was very good! Both dentists that worked on me were very very good, they were friendly, professional, and were willing to squeeze me into their schedules even though I hadn’t given them any forewarning. After this experience, I told my girlfriend (who works at a dental office), that if I EVER need to get some serious dental work done, I’m just going to schedule a trip back to Bosnia. I’m not kidding either, I mean the cheapest I can get a root canal in the US is $500-600, and a crown costs around $1,000-1,300, so for me, it’s actually more economical to book a round trip flight to Bosnia ($900), stay a hostel for a week ($12 x 5 days), and get a root canal or a crown that having it done in the states. It’s both amazing and a sad indictment of the state of our healthcare in the US. It’s been two weeks since I landed on U.S. soil and being home is exactly like everyone said it would be. “Wait, there was a war there?” Oh man. Though it’s difficult to explain my Sarajevo summer to family and friends from home, I was in the same boat once. Last spring, I remember sitting in the DU library, thinking ‘I’ll just put my headphones on, quickly watch this video that Ann assigned, and then I’ll finish my Stats project.’ Three minutes into “Cry from the Grave” tears were streaming down my face as Saliha told her story. Other students quietly studying at surrounding tables started giving me weird looks. After an hour of intense, raw, emotional footage of Bosnia from 1991-1995, I had no intention of touching my Statistics homework. Instead, I rushed out of the library into the drizzling rain and walked the thirty minutes it takes to get home. I remember the feeling of needing to decompress and compartmentalize what I had seen. I also remember feeling very ignorant, and asking myself, Why am I not more aware of this genocide? Towards the end of our program, I watched this film again in the battery factory in Srebrenica. This time, having participated in the Peace March, having embraced Saliha at her home the day before, having heard the first-hand testimonies of survivors, and having established relationships with warm and welcoming Bosnians over the summer, the footage hit me hard. It was overwhelming. When we walked across to the memorial cemetery, I found the first secluded spot under a tree and sobbed. Looking out over the thousands of white tombstones I couldn’t think of anything to say except I’m sorry. I just kept saying those words over and over in my head. Sorry to those who had lost their lives. Because none of this had to happen. I also remember the overwhelming urge to call my mom and dad, to talk to my sister. I think I hugged them all a little tighter before flying back to Denver. I am different from the girl in the library that spring. I have had experiences that I will remember forever and have met people that will never be forgotten. I have lived in a city that is truly like no other. I am so grateful for my Sarajevo summer. 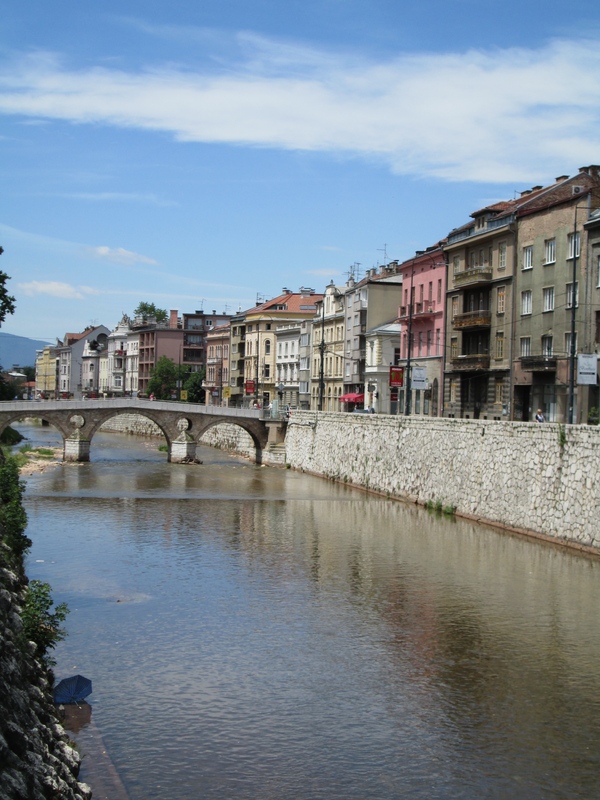 When we arrived to Sarajevo in mid-June, there was a general sense of quiet and tranquility that blanketed the city. Most of its citizens were maintaining their Ramadan fasts, and until the sunset Iftar, the city didn’t fully spring to life. Once the cannon from the Yellow Fortress fired, Sarajevans flooded the cobbled walkways of Baščaršija. My first experience of the city was a far cry from my final experience in the city. The opening of the Sarajevo Film Festival coincided with our last night in Sarajevo. The Film Festival was a communal outpouring, and summoned everyone in the city to participate in some capacity. New cafes and restaurants sprung up overnight, and an infectious energy permeated the city. It was a bittersweet departure leaving the city in the midst of the film festival. The festival represented an impressive array of work from around the world and from emerging filmmakers. It also brought life to unique venues around the city, including open-air cinemas and screenings in historic buildings. Even if a film lacked a star-studded cast, or is marginal in its outward appeal, it managed to draw an impressive assortment of attendees. The film festival represents Sarajevo’s annual dedication to the arts and unity in diversity. The Dinaric Alps traverse the Balkan Peninsula, and are home to countless rivers and lakes, steep gorges and canyons, and interestingly, the world’s tallest people. 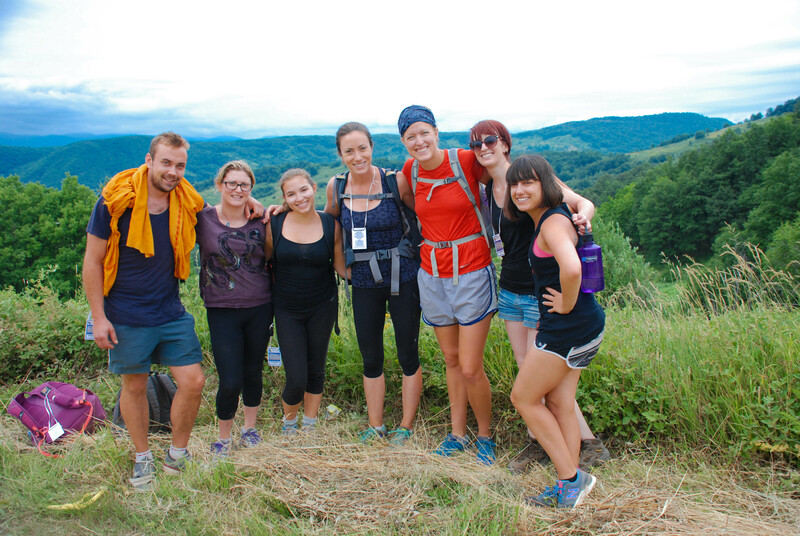 This past weekend, Global Practice Bosnia ventured to Lukomir, a village nestled in the Alps, and discovered it to be a home away from home. 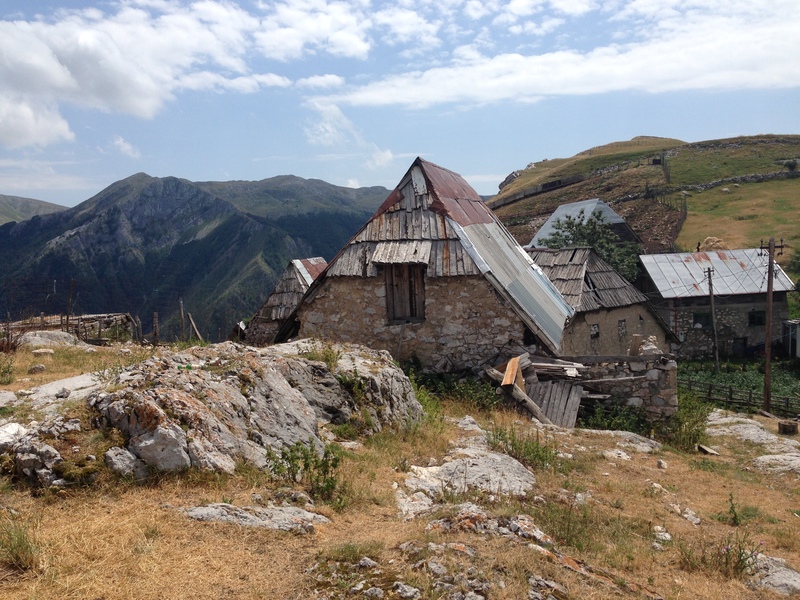 Lukomir is Bosnia’s highest, and most remote village, and coincidentally is located at the same elevation as Denver, 5,280 feet. 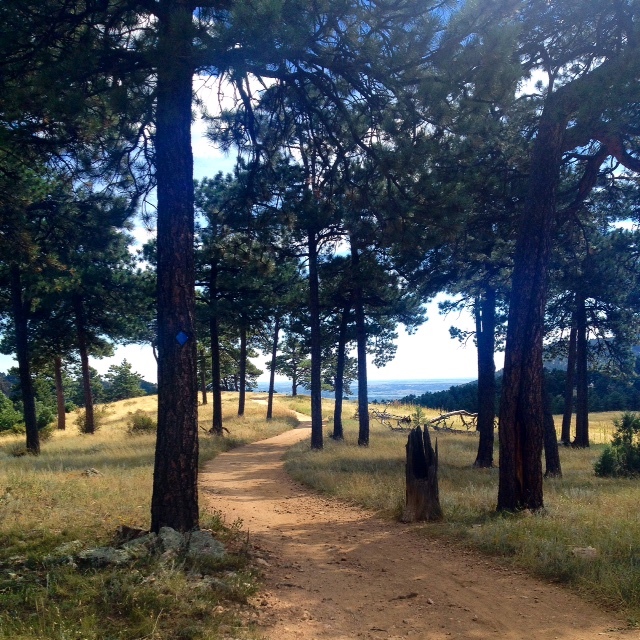 The thin, fresh air was enervating and called to mind hiking trips in Colorado’s Rocky Mountains. It wasn’t difficult to discover why the locals have such a hard time separating themselves from this special place during winter months. The younger generations in Lukomir recently made the decision to move the older generations from Lukomir to Sarajevo due to sub-optimal living conditions in the winter months. In the spring when the snow melts, the village elders make their perennial trip up to Lukomir. 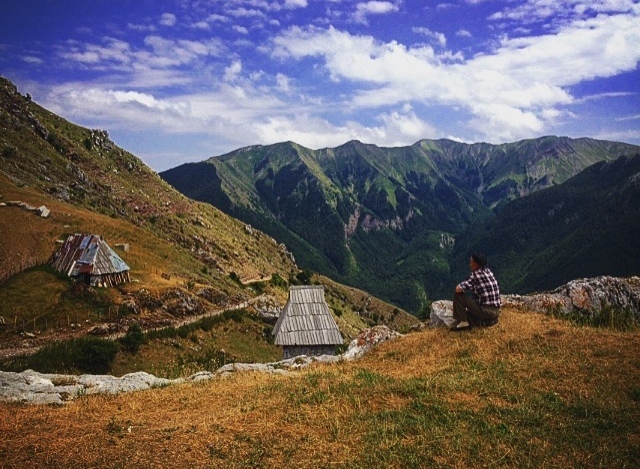 Samra, a 20-something resident of Lukomir, relayed the story of how each spring she loves witnessing the elders return to the mountain, amazed by how they defy age and gravity, bounding up the mountain with smiles stretched across their faces. The trip was called the “Three Generations Trip” and was put on by Green Visions. Once we made the trek up to Lukomir, we had the privilege of spending time with three generations of women that have heartily resided in the mountainous village for nearly a century. These three women, and many others, are symbolic of a larger ethos that I’ve come to love about Bosnians. They are tenacious, imaginative, and equipped with a fabulous, wry sense of humor. In post-conflict countries, there is a constant process of re-defining and re-categorizing the notion of happiness. I was reminded of Viktor Frankl’s book entitled “Man’s Search for Meaning,” in which the author uses his experience at an Auschwitz concentration camp to find meaning in all forms of existence. Frankl mentions the Greek word, eudaimonea, which refers to a state of having a good indwelling spirit or being in a contented state of being healthy, happy and prosperous. In the face of adversity, it’s remarkable how Bosnians did not let the war define them, and how their resiliency is what allowed their country- and it’s spirit to remain intact. So everyone that knew me in Sarajevo that last couple of months knew about the amazing French Bakery down the street from our hostel in Sarajevo. 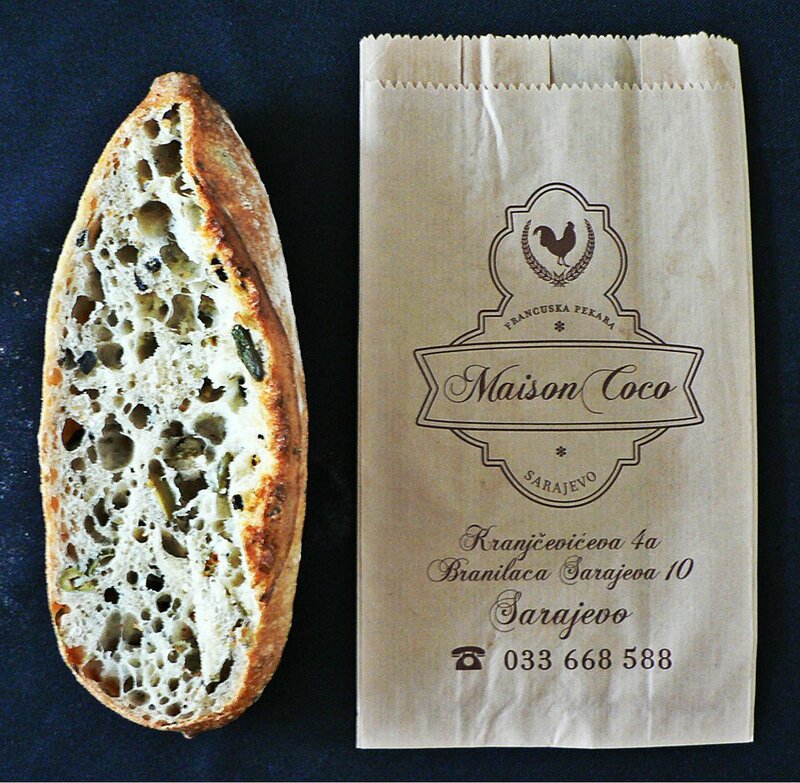 After the first bit of a chocolate almond crossaint, I was immediately obsessed with the heaven of Maison CoCo. My mouth waters at just the mere thought of a Maison CoCo pastry or croissant. 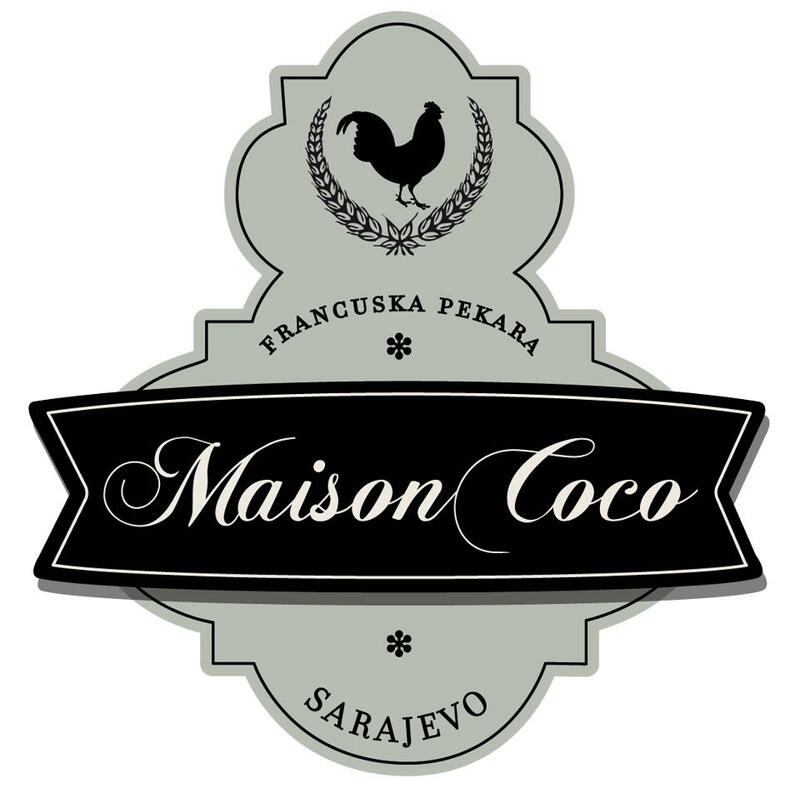 I first came to know Masion the first week of being in Sarajevo when some friends from my internship took me for lunch. Needless to say, I have been absolutely hooked ever since. I have also had a fondness for eating chocolate for breakfast, in particular chocolate croissants. The explosion of the orgasmic first bite of the chocolate almond croissant is incomparable with any food I could describe. Every time I dance up to the small, order-to-go window, I smile unabashedly as a I breathe in and gawk at the sweet smell of fresh bread and pastries. I don’t necessarily consider myself a foodie, but Maison CoCo is my heaven in a basket, or should I say little brown paper bag. I decided to write a little poem for my love for Maison CoCo. who knew heaven could be found in a brown paper bag? I could never tell myself no. will anything ever taste so good? simple, but its all I need. and I am one sad girl. my love for you will remain. As I settle back into life stateside, reflections are surfacing. I have eaten tacos, spicy salsa by the spoonful, and indulged in Indian curry. I have spent time with friends, pets, and loved ones, and I enjoyed some late nights and early mornings. Bosnia has been on my mind a lot lately after all the reunions and eventful days. I always change in one way or another after I travel or live somewhere else for a while, which I believe is a healthy aspect of life and for learning and evolving as a person. Bosnia taught me many things, and I learned some valuable and unexpected truths about the true definition of life. 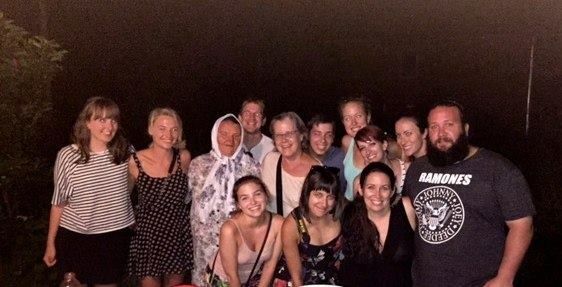 I miss family and friends on a regular basis, as my Mom, my sister, and my in-laws live out-of-state, and most of my friends live in various parts of the country or throughout the world. I always appreciate them more when I travel or live outside of the country, especially when contact is limited due to technological issues or a time difference. As our student group spent time with people who had lost loved ones or their entire families, and also shared meals with families, my friends and loved ones were always in my thoughts. I appreciated the fact that I had family and friends to whom I would return, and I could not wait to spend hours of time with them, either in person or engulfed in long phone conversations, just to hear about and to experience their lives. I did not even want to talk about my experiences; I was elated to just listen to their stories and anecdotes from the last few months. I appreciated my loved ones and for their existence, which completes my life. 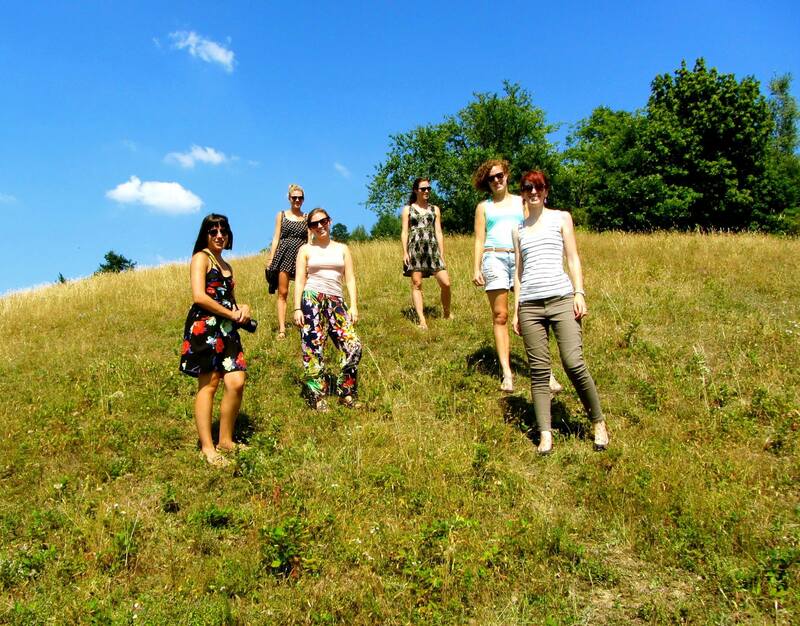 I was fortunate enough to gain new friends during my time in Bosnia, and I learned new aspects about friendship. I was in a student program with the most thoughtful, delightful, diverse, and interesting people. 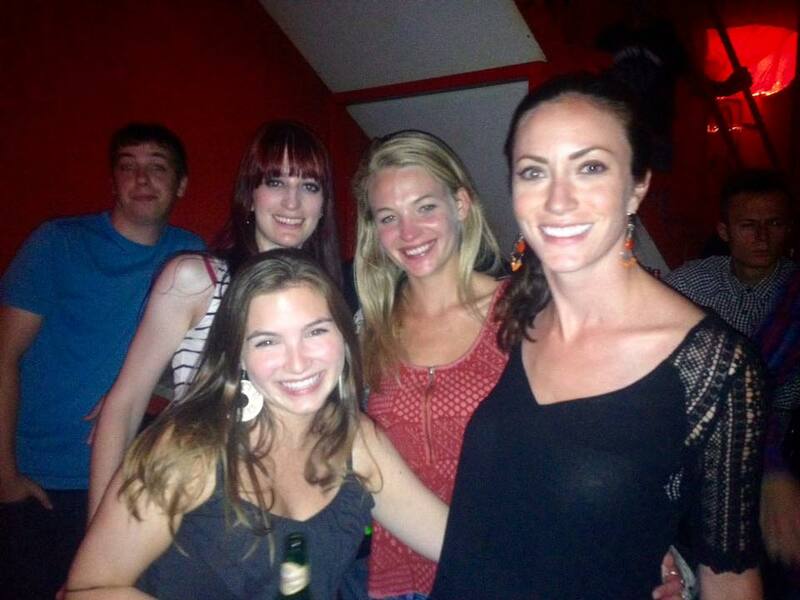 I learned what it was like again to live in close proximity to several people at once, and I loved it. It brought me out of my shell of introversion, which enabled me to enjoy myself as an introvert and to also enjoy the company of others. I enjoyed traveling with them within Bosnia, during a three-day peace march, or during trips throughout the Balkans. 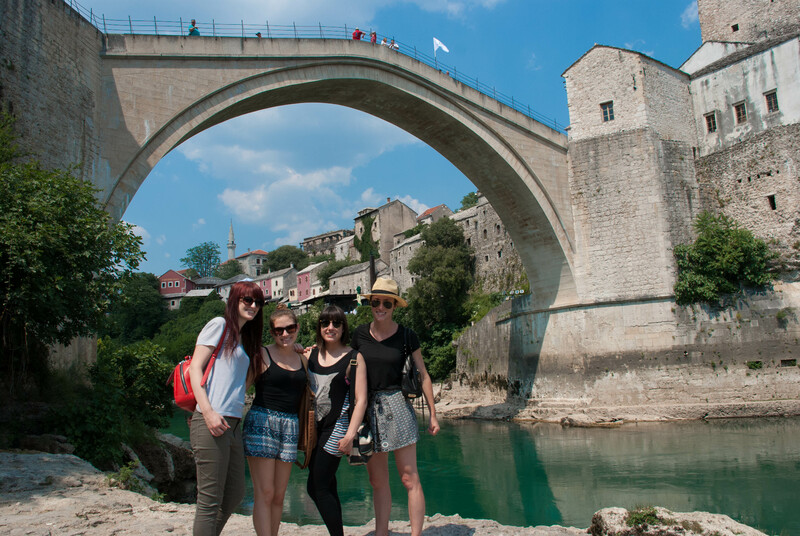 I am thankful for the opportunity to experience Bosnia and the Balkans with an amazing group of people. They taught me that friendship is selfless and it brings out the best in humanity. It also completes my life. People maintain a certain quality of life in Bosnia. They place emphasis on relationships and enjoying moments of each day. I observed this in all capacities, among my colleagues at my internship, as I watched people going about their daily lives, and within our personal experiences with Bosnian people. They stop and speak to one another, they don’t understand why a person would work through a lunch or eat at their desk at work, or why a person would not stop to share coffee several times each day and catch up with friends or colleagues. They chat with the person at the produce stand, they spend time conversing with the baker at their favorite neighborhood bakery, and they also gain new friends quickly by their nature as warm and charming people. 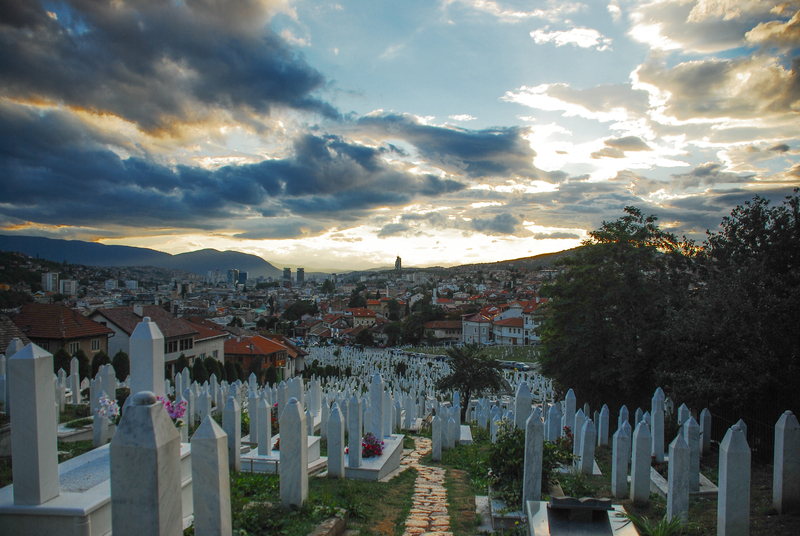 Bosnians have experienced traumatic, life-altering, and atrocious events throughout their respective lives, and they lead and live beautiful lives today, laughing through it all in a dark way that only Bosnians are able to accomplish. Back home in Denver, I usually take a book to a nearby coffee shop and enjoy a coffee for two or five hours. I put off errands and call my grandmother and listen to stories about her week. I take my dog for a walk and enjoy the view of mountains in the distance. I laugh at my dog’s inability to run in a straight line. I notice the changing weather and look forward to the months ahead-my favorite time of year. I enjoy the process of cooking a meal and opening a bottle of wine or buying an IPA for my husband after a long day in the hospital, and I enjoy every moment when he does something wonderful for me. I plan for dayhikes on my days off from work. I now believe in the importance of enjoying moments of each day, minute aspects of days that come and go forever. I have even changed my career objectives, and in turn, my life objectives. I want to live a life that I will enjoy, a life that enables and inspires me to always and endlessly give to those around me, to improve the world in my own way. This is imperative for enjoyment and completion of life. Looking back on my time spent in Sarajevo this summer I feel extremely grateful and hopeful. Entering into the program, my main goal was simply an internship in a foreign country, I never would have thought it would be in Bosnia or that I would enjoy it so much. I thought I would get some internship akin to any you can find in the United States where I simply sit behind a desk and do menial work. I thought, if it wasn’t that, it would be a position entirely unrelated to my area of study, because I thought of the program as an extension of the Graduate School of Social Work. My expectations were drastically different from my experience. I thoroughly enjoyed the work I was doing, and the people I met at the internship are people with whom I will continue to keep in contact. While my job did concern the social welfare of the people in Sarajevo and was not explicitly for a corporation, I was able to learn through my experiences and the people around me how what I did connected with my field of study. I would love to return to Sarajevo in the future, and I would love to work with the people I worked with this past summer. Fortunately, the people there have suggested they want me back too, so I very well might end up back in Sarajevo after graduating.